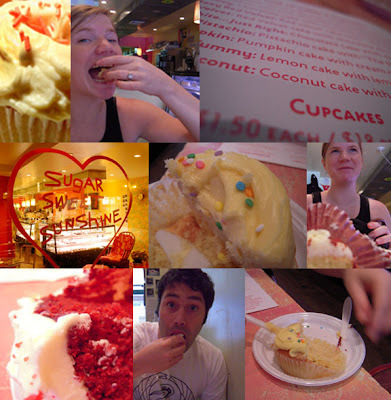 Gabe & Kate 2008: Cupcake Tasting! Thought I'd post some images from our cupcake tasting a few weeks ago! Yummm! We are happy to say we'll have SugarSweetSunshine cupcakes at the wedding! Thanks to Peggy for meeting with us and letting us try all the delicious flavors!